EP-W5000 is a one component highly durable floor polish and protective sacrificial wear surface. 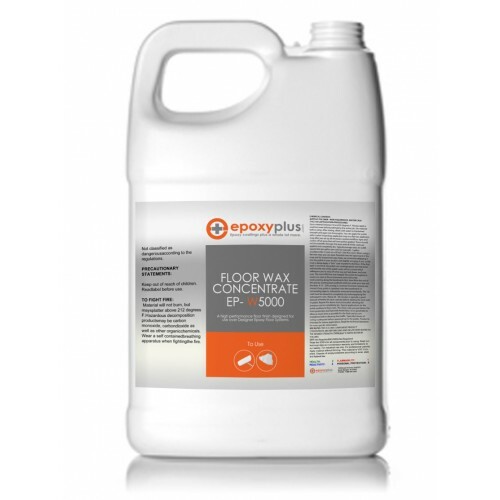 This product can produce a high performance floor finish that performs well in low maintenance floor finish programs as well as in ultra high speed maintenance programs. The product can be used over many coatings and surfaces including Designer Metallic Epoxy Floors to provide a protective layer with excellent scratch and mark resistance. *Provides a protective layer over many surfaces. *Exceptional response to High speed maintenance. Typical coverage is 2,000 square feet per gallon per coat. Multiple coats (3-4 coats) are normally required for best performance. 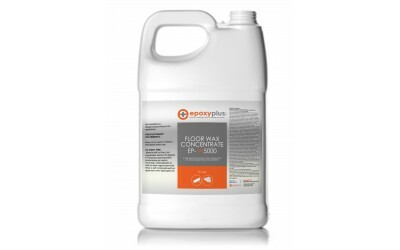 This product is available in 1 gallon jugs containing ½ gallon of Floor Wax Concentrate. With the addition of 1/2 gal of clean water, concentrate makes 1 gal of floor finish.